Finding production alternatives for short rotation woody crops (SRWC) is at the forefront of today’s energy dialogue. Jeff Nuss, President and CEO of GreenWood Resources, Inc., said SRWC professionals are moving beyond research by providing the final building blocks to develop and commercialize a renewable energy program in the Pacific Northwest. “The growing demand for fiber in traditional wood product and renewable energy markets will be met from short rotation tree farms,” said Nuss. Speaking at the Short Rotation Woody Crop Operations Working Group 10th Biennial Conference in Seattle, Nuss acknowledged valuable collaborations and partnerships, such as Advanced Hardwood Biofuels Northwest (AHB), which are championing the effort. 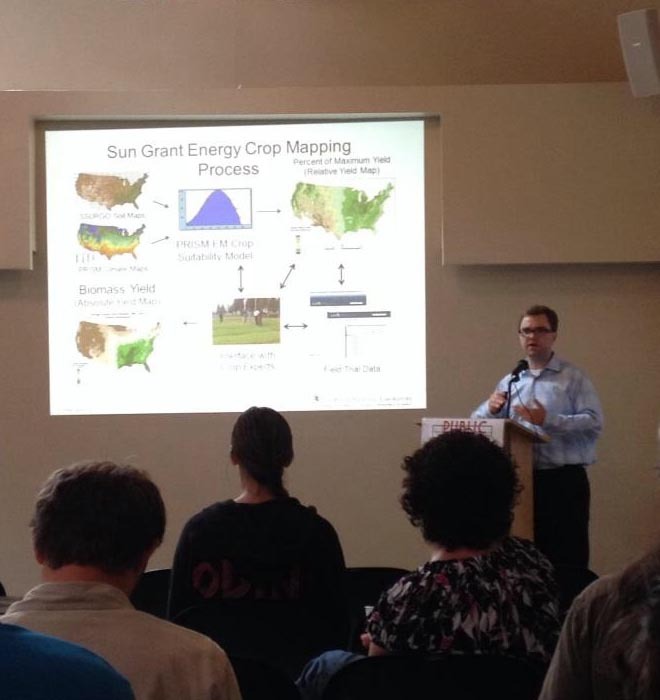 Nuss spoke to over 50 researchers, industry leaders, and Extension professionals from around the world. Laurence Eaton from Oak Ridge National Lab speaks about the national feedstock supply of woody crops. AHB showcased two oral presentations and four poster presentations at the July 17 – 19 conference. Jeff Kallestad from WSU presented his work on the feeding preferences of deer and vole for different varieties of poplar. Nathan Parker detailed the economic work happening at UC Davis which models the cost of producing jet fuel from hybrid poplar and optimal site locations for biorefineries in the Pacific Northwest. 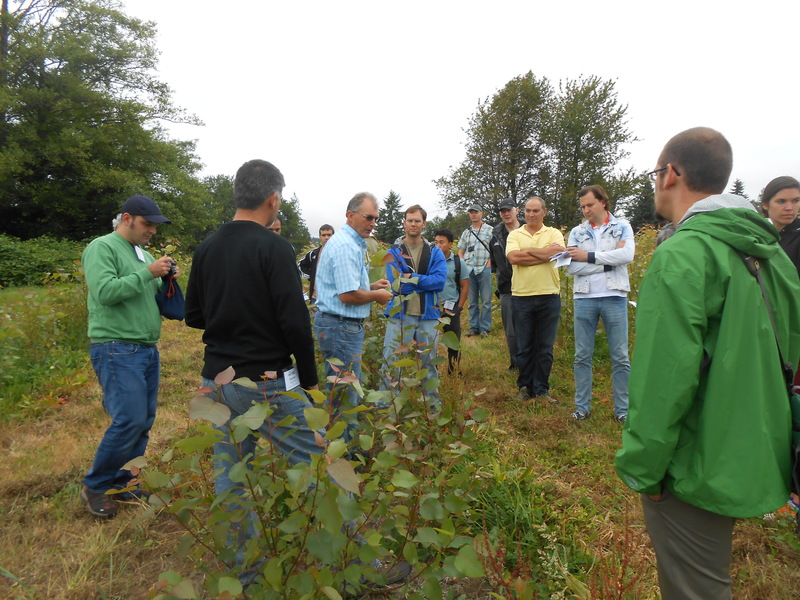 An international crowd of researchers learns about growing poplar on short rotations at AHB’s Pilchuck Demonstration Site. 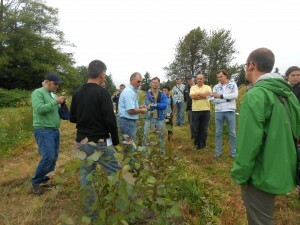 A field tour of the AHB’s Pilchuck Demonstration Site near Stanwood, Washington illustrated the overall strategy GreenWood Resources is using to optimize feedstock production on marginal lands. Hosted by AHB and Washington State University Extension, the conference focused on production alternatives for short rotation woody crops. The conference brought together researchers, industry leaders, and Extension professionals from around the world. More information on the conference and the SRWC Working Group can be found online at http://www.woodycrops.org/.